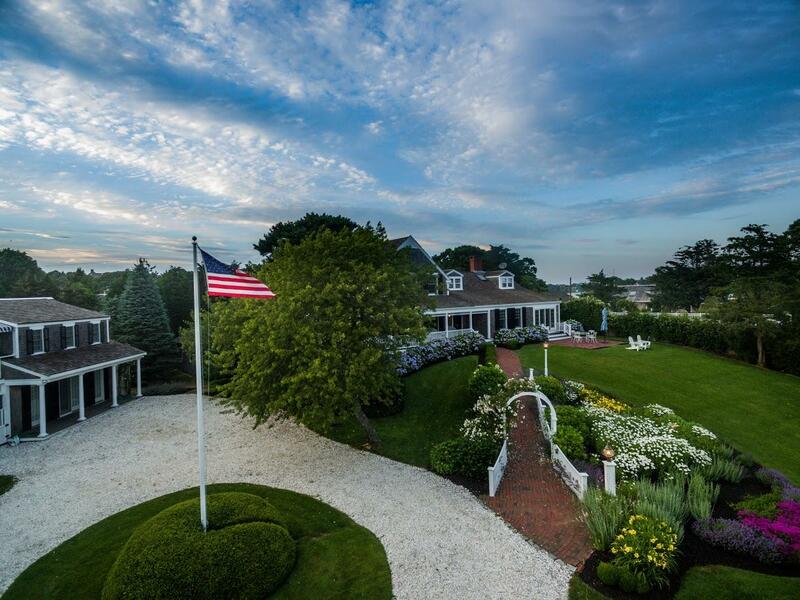 Description: Location is everything...Iconic family estate overlooking Stage Harbor and on the loop to town and Lighthouse Beach. A welcoming wide front porch with lovely vistas of the sailboats in the Harbor and sweeping green lawns and coastal gardens sets the tone for casual Cape Cod elegance inside. Renovated over the years, the Main house boasts spacious rooms, updated kitchen, formal dining and over sized living room with fireplace. A newly renovated guest house offers two baths, two sleeping areas, full kitchen and private deck. Additional outer building includes a home office/artist studio. The property includes waterfront accessed via a path. The house easily expands for large family gatherings or can feel intimate in the off season. A special place.